Office fore play. 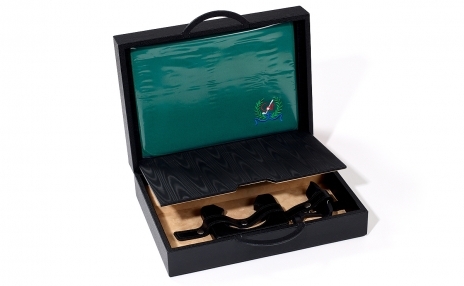 With this distinctive and discreet mini golf set by Renzo Romagnoli, you can put between power naps. 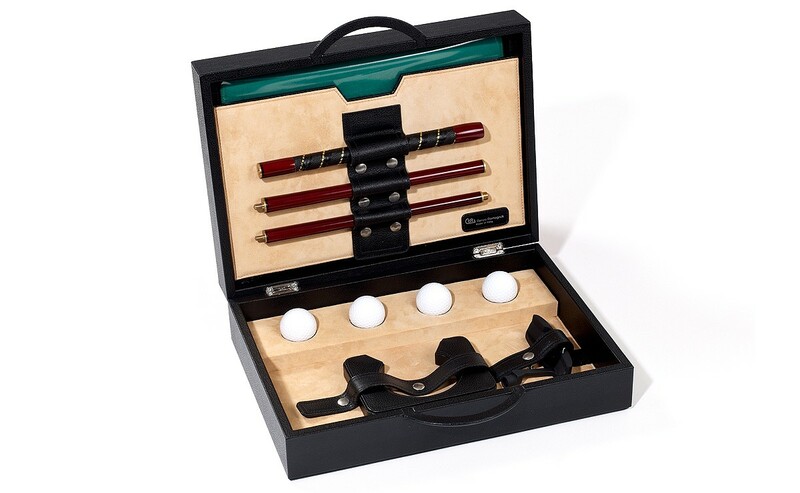 Quick-and-easy assembly of a full office-sized course is possible in a blink: simply open the leather briefcase, screw together the wooden-and-metal club, unfurl the cloth green, place the leather cup where you see fit, and tee up with one of the four standard-size golf balls. Briefcase is made of sleek leather, with suede-like interior compartments secured with metal fasteners and cloth-lined compartments. Sturdy handle for easy transport. 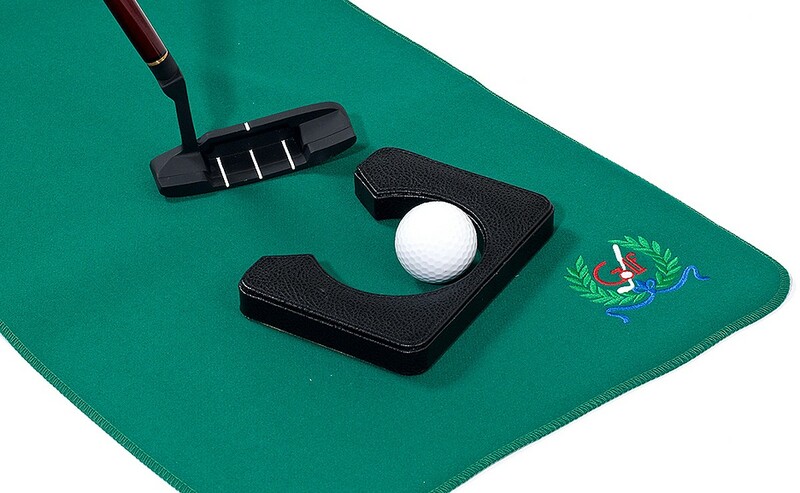 Go with Renzo Romagnoli: produce a putting green on company time, become a Master at work.